Whether for leisure, business conventions or incentives, each package is customized for the traveler's enjoyment. 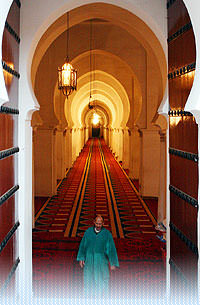 Morocco is a study of contrasts, and this tour reveals this remarkable country at its best. Though it would take months to discover all the joys of Morocco, you will be given an insight into why so many people, including the famous American writer Paul Bowles, chose to call Morocco home. You will visit the four Imperial Cities, the Atlas Mountains, the Sahara Desert, and the cities of Casablanca, Rabat, Meknes, Volubilis, Fez, Ifrane, Erfoud, Tinerhir, Ouarzazate, and Marrakesh, many places which have been declared World Heritage Sites by UNESCO. You will explore the ancient and the modern, the historic and the natural, the rural and the urban: the diversity and magnificence that is called Morocco. 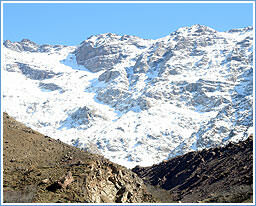 Natural beauty, ancient history, and cultural diversity—these are the qualities for which Morocco is known. A land always coveted by others, it was a crossroads for trade from Europe to Southern Africa, the Middle East, and the Far East. Foreign rulers longed for control of Morocco, then called Mauritania. Phoenicians, Romans, Arabs, Spaniards, Portuguese, French and Germans all sought to occupy Morocco, and the country is etched by the battles and the occupation of its invaders. 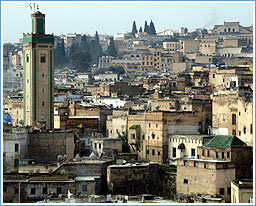 Rabat, Meknes, Fez, and Marrakech are referred to as the Imperial Cities, having once been capitals during various Muslim Dynasties. The architecture of these cities displays the influence of these invaders. This tour transports you roughly backward through time in Morocco: you begin in modern-day Ouarzazate, the film capital of Morocco, where many American films have been made, such as Romancing the Stone, The Gladiator, The Sheltering Sky, and Lawrence of Arabia. You will also visit the grand and picturesque Aït Benhaddou, so beautiful that it has been used as the backdrop for many American films. Then you will view the spectacular natural scenery of both the Dades Gorge and the Todra Gorge: composed by time, the gorges are a symphony of color, texture, and shape. Moreover, you will explore areas with fossilized dinosaur remains, uncharted roads, and prehistoric rock carvings. 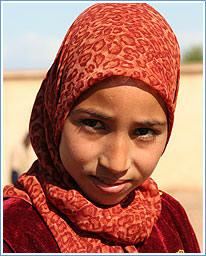 The Moors, a genetic mixture of Arabs and Berbers, came from a region of North Africa that is Morocco today. By the 7th century, they occupied large areas of Portugal and Spain, called al-Andalus. The Moorish occupation of Spain is considered a "golden era" in which learning, culture, and trade flourished. 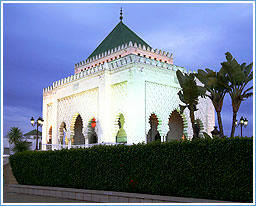 The influence of the Moors, or Andalusians, may be seen most prominently today in towns and villages in north Moroccan. Eventually the Moorish influence spread to the New World, seen clearly in the colonial architecture of Latin and South America. The geography, history, and the people of Morocco have always been complex and diverse. The first Jews arrived with the Phoenician merchants about 1000 BC, settling along the Mediterranean Sea and the Atlantic Ocean. 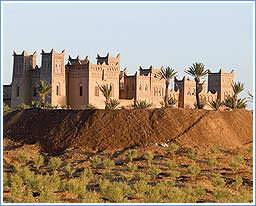 Over hundreds of years, the Jews have established traditions in nearly every area within Morocco. Throughout the course of your tour, you will visit the significant Jewish heritage sites within the major cities, discovering the Jewish heritage within this remarkably unique and tolerant country. Please call for pricing and more special package information.